If the first 20 miles or so coming off the eastern terminus of the Chesapeake Bay Bridge is the Gateway to the Eastern Shore, Kent Island is the first stop on our gateway tour. When William Claiborne sailed up the bay in 1631 to establish a settlement in the name of the Virginia Colony, Kent Island must have looked like the perfect spot to set up shop. The largest island in the Chesapeake Bay, Kent Island is also located just about half the distance from the mouth of the Chesapeake to its northernmost tributaries. Though relatively shallow, Kent Island’s Chesapeake Bay waterfront provided ample shipping access, while the nooks and crannies of the Eastern Bay and Chester River sides provided retreat from both the elements and attack from potential enemies. William Claiborne (c. 1600-1677), intrigued by Captain John Smith’s North American explorations, left England for the New World soon after 20th birthday. 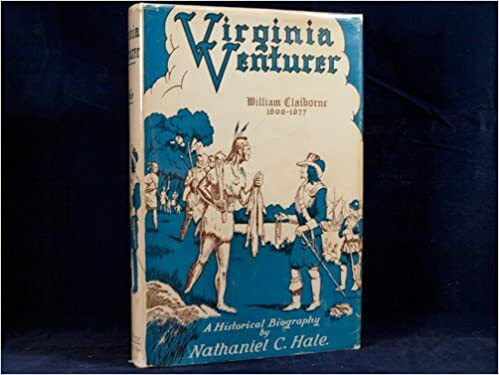 Described as fashionable, handsome, and good with a sword, if somewhat short in stature, Claiborne, with his loyalty to leadership, proven mettle, and skillful performance of his duties as a surveyor, quickly rose through the ranks of the Virginian establishment. In 1626 he served as the colony’s Secretary of State and in 1627 was granted a license to trade with the native tribes of the upper Chesapeake. George Calvert (c. 1580-1632) was a privileged gentleman, and despite his Catholicism, a close confidante of Protestant King James I. With the king’s royal patronage and protection, Calvert was allowed to leave England, and was granted a lordship in Ireland where he was appointed Baron Baltimore of County Longford. Calvert dreamed of a sanctuary for religious freedom, where believers of all creeds could intermingle and create a society made stronger by the diversity of faith. An attempt on his part to establish such a progressive minded colony in Newfoundland had failed in 1620. In 1629, he visited Jamestown and liked what he saw enough to petition his friend the king for a land grant on the Chesapeake Bay that included everything north and east of Potomac River. Which included Claiborne’s Isle of Kent, where by October, 1631, he had built a fort, several homes, a shipyard, and two large windmills. George Calvert died the next April, just before his grant was approved. His sons, Cecilius, the 2nd Lord Baltimore, and Leonard, pursued the fulfillment of their father’s dreams for a religious haven, and in March, 1634, Leonard 140 traveling companions sailed up the Chesapeake Bay on the large ship Ark, escorted by the smaller, but armed, Dove. They disembarked just north of the Potomac, founding what they called St. Mary’s City. Claiborne was soon notified that his trading license was no longer valid. Accusations flew back and forth. Local tribes were lied to; used for propaganda purposes. In April, 1635, Claiborne sent Captain Thomas Smith out on the small ship Long Tayle – claimed to be the first English style ship built with indigenous Chesapeake Bay wood – to do some trading. Smith’s crew encountered Henry Fleet, Claiborne’s business rival and a confidante of Calverts. There was a skirmish – the Long Tayle was confiscated. Two weeks later there was another altercation, but this time there were four deaths, three of which were Claiborne’s men. The surviving Kent Islanders barely made it home alive and were condemned by Maryland as pirates, the first such charge noted in the American colonies. Virginia was feeling political heat over the Kent Island situation, and they had other, bigger problems to contend with. Their support for Claiborne’s efforts to hold the island weakened. Cloberry & Company, the financiers of Claiborne’s venture, call him back to England. They sent a young man named George Evelin to review Claiborne’s books and manage operations on Kent Island in the founder’s absence. At first, Claiborne believed Evelin friendly, but as soon as Claiborne leaft town, the new management cozied up to the Calverts and helped shut Claiborne out. 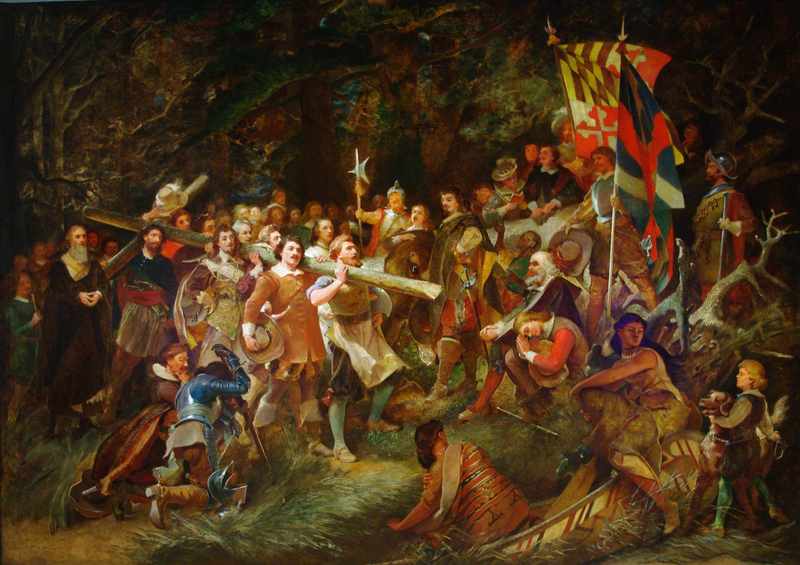 In 1638, while Claiborne is in England defending himself in front of both the king and his financial backers, Maryland forces landed on the island and took over Claiborne’s fort and home. They rounded up dissidents and confiscated property. Resisters were accused of various crimes, but offered pardons if they swore an oath of allegiance to Lord Baltimore and the Maryland colony. Captain Thomas Smith, loyal to Claiborne to the end, was hanged after twice being charged with inciting rebellion. After years of attempts, legal and otherwise, to retake what he saw as his, Claiborne eventually retired to his 5,000 acre estate Romancoke on the Eastern Shore of Virginia, where he died around 1677. Thanks for putting this history all in one place, Brent! Thank you! I really enjoy your blog, mb-henry.com!